From flat to physical, Kristina Krogh masters every dimension. Kristina Krogh’s Fragments No. 1. Feathers juxtaposes images of material textures. A series of objects by Kristina Krogh. 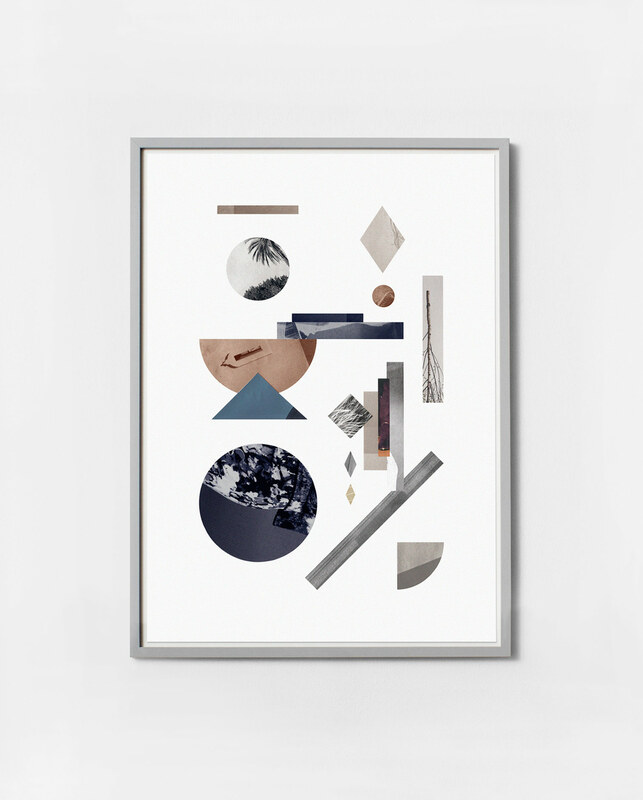 A desk organizer and wall mirror collection by Kristina Krogh. From a card set collection by the designer. A notebook made with FSC-certified quality paper. The result is an enticing tension due in large part to Krogh’s depiction of physical materials in her images. Hard materials like marble, granite and sandstone, and soft ones such as feathers and fabric. She also plays with light and shadows, giving her 2-D art further dimension and tangibility—as if her graphic design elements were plucked directly from the product-design toolbox. Like the latest in furniture, her palette consists of soft grey, peach, rose, strong emerald, and midnight blue. These hues are held together with lines of shiny foil in copper and gold like metal frames, adding just a bit of glam. Her new line of home objects—a desk organizer and wall mirror—takes the opposite tack, however, drawing its 3-D expression from the pared-down lines of her graphic work. Her simple lines evoke Art Deco, Frank Lloyd Wright, the Memphis Group, Aztec art, and the popular triangle patterns of today, yet are all her own. And this is how Kristina Krogh becomes not just on-trend, but timelessness.